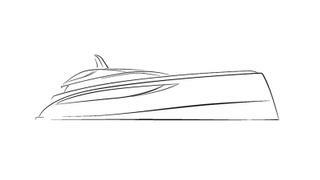 German yard Nobiskrug has signed an order for a 77 metre new-build motor yacht, with the buyer introduced by Imperial Yachts. This five-deck yacht will be built in steel and aluminium to a design by Winch Design with a distinctive reverse bow and is scheduled for completion in Spring 2021. Interior design has been entrusted to Sinot Exclusive Yacht Design and will boast many imposing features including a grand beach club and spa area. Accommodation layouts and interior arrangements are not yet available, nor is the propulsion system. However she will be built under the new Tier 3 regulations and the Red Ensign Group Yacht Code Part A under the direction of Imperial Yachts. Holger Kahl, managing director of Nobiskrug, added: “With the two remarkable teams of designers and an experienced superyacht management company, we are truly excited to realise this bespoke project” says . The asking price of the Nobiskrug 77m has been withheld.